When I was invited to share an important mothering moment, I racked my brain for quite a while…until I realized that all I had to do was go back to the very, very beginning of my parenting journey. I went to a regularly scheduled doctor’s appointment and discovered that, due to sudden onset severe preeclampsia, I was to be induced that evening…at 37 weeks. After my son was born, I was still way too sick to be moved out of the birthing room…so I hung out there for a couple of days with my magnesium drip. When I was finally transferred to a regular hospital room, I still wasn’t in great shape and my baby was a couple floors below in the NICU for breathing troubles brought on by the magnesium that had gotten into his body during labor. I woke up in the middle of the night during my first night on the maternity ward, having had a terrifying nightmare about all kinds of machinery surrounding my baby. Barely able to walk, I tiptoed out of the room (making sure not to wake up my husband, who was asleep on the pullout chair in the room) and took the elevator down to the NICU. When I got there, the nurses told me that they had just ordered an x-ray machine to do another chest x-ray of my son because he had had another breathing episode. Because of my dream, I got to the NICU in time to be with my baby while he got his x-ray. Mother’s intuition starts from the very beginning. What is Macy’s Heart of Haiti? It is a “trade, not aid” initiative launched by Willa Shalit, The Clinton Bush Haiti Fund and Macy’s, which provides sustainable income to Haitian artisans struggling to rebuild their lives and support their families after the 2010 earthquake. The initiative has already led to the employment of 750 artists in Haiti, which translates into financial benefits for about 8.500 people. Serious social change is taking place here, people! The Collection which features more than 40 home decor items, is crafted by Haitian master artisans from almost entirely recycled and sustainable items….which makes them socially and environmentally responsible. Pretty cool, huh? 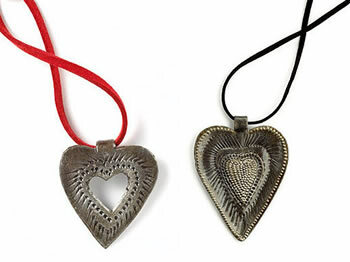 Get your fingers clicking to Macy’s.com, where you can find all of the Heart of Haiti products. This entry was posted in Parenting, Products and tagged #spon, clever girls collective, heart of haiti, intution. #cleverhaiti, mother's day, preeclampsia, preeclamptic by jessica. Bookmark the permalink. Thanks so much for giving a spotlight to Heart of Haiti!!! We are so thankful that you would share your Mother’s Day with us!